Remember that floral maxi dress I wore a couple weeks ago here? Well, I loved the way it fit me so much, that I ended up ordering this dress, which is, in essence, the same dress, just a shorter length. I think we can all agree it was made for me, no? I just love everything about it - the color, the cut, the fit. This dress is so ladylike to me that I decided to play up on that feel with this bauble necklace and the satin bow pumps. And yes, I ended up buying this pouch as a result of enabling you guys to shop the Kate Spade surprise sale last week. But I am comforted knowing that my wedges now have a matching accessory. I'm looking forward to catching up this week. I feel like my last few weeks have been ridiculously busy, and this weekend was much of the same. So, I apologize for being so far behind on replying and commenting and reading and, well, life. Thanks for hanging in there with me! Well you just made my Monday. Thank you! Fabulous dress! Love the pairing of pink and blue together! The clutch and shoes are to die for! Thank you! They make me happy for sure! 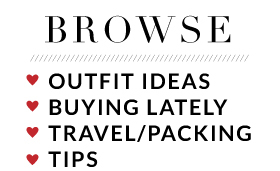 I swear blogging makes me shop! Sigh. But I do love this beauty! And I squealed when I realized the pouch would be great with it! I adore this whole look every single item is a must have. Aww- that means a lot - thank you! Love your outfit! Cute dress!! Beautiful dress! Your accessories are perfection, as usual! Hope you had a great weekend. Thank you! I hope yours was good as well! Mine was busy and I'm already exhausted! Ha! But this pretty dress helps! I agree...that dress was made for you!! The cut works so great on you! Plus the color...fab! Love the bag! Thanks girl! I love when a dress makes you feel good! Nothing beats that! Such a lovely dress...the necklace is the perfect addition! 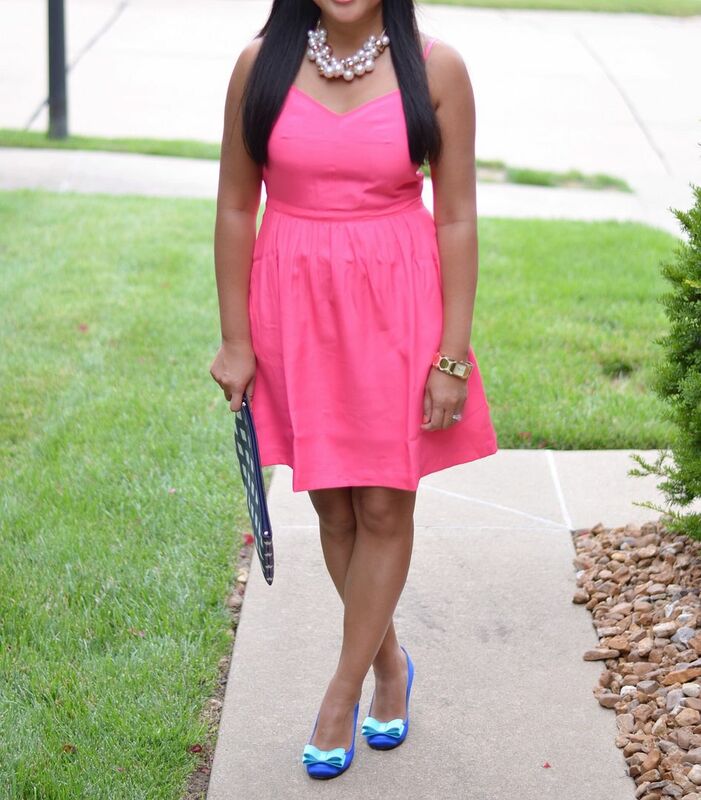 This dress fits you perfectly and looks so great with the blue accessories! Love the pink and blue color combo! Thanks, Jill! Blue felt great with the pink! Oh wow someone's looking so prim, proper & gorgeous.....love this ensemble Carylee!!! So sweet, Rebecca - thank you! This style is so feminine and I just love the color and print combo! So so pretty! Very lady-like...I love it! So pretty and dainty. Thanks for hosting...xo! Thank you! And our pleasure! Thanks for participating! I really do hope you come across these shoes one day! Thanks for the sweet note, as always! Love this dress and the color looks amazing on you! Thanks! The shape is just perfect! I need the other colors! I am drooling over your dress!! And that necklace is so pretty - awesome look girl! Happy Monday! I appreciate it- thank you! What a pretty dress! I LOVE the shoes and clutch too! Thanks, Lauren! Appreciate you popping over! It really is - I caught it on sale at the outlet! That dress really is perfect for you! Plus, I would have gone monochromatic (or white/gold) with the accessories, but the blue is just too much fun! I'm such a sucker for cobalt- I could not resist! Awww- thanks! The husband keeps complimenting me so I guess I did something right! What a pretty dress! I love the pink and blue combo! You look great! She really does, I'm such an addict, it's scary! That clutch really adds the perfect punch to your dress! Doesn't it? It was so fun to pair it with the dress! That is an adorable dress! I love everything about it, too: the color, the cut, the fit. You look amazing. You look so perfect in this pretty dress! And I'm drooling over those gorgeous shoes!! Someone legit emailed me out of nowhere once and asked if she could buy these shoes. And she is 1.5 sizes bigger than me so not sure how that would work! Haha! Thanks for the note, lady! This is such a Great Girly dress and you look very good with the blue accessories. Enjoy! This is just darling! I love the necklace -- one of those is on my wishlist! It's a great necklace! 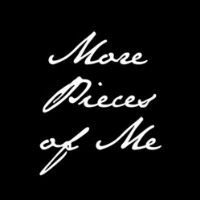 I get so much use out of it- you will love it! Pretty necklace! Goes great with the dress. 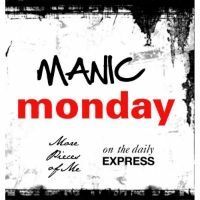 I found your blog via Whitney Nic James' Monday Link-up. Love all the colors here. Such happy and bright colors! BTW. i love how you did you hair on the first picture. I've always wanted to do that on my hair but it never comes out how I want to (basically like yours). Regardless, hope you get it to work out! Love this dress! The color is perfect! It really is the best - I should get the other color, too! 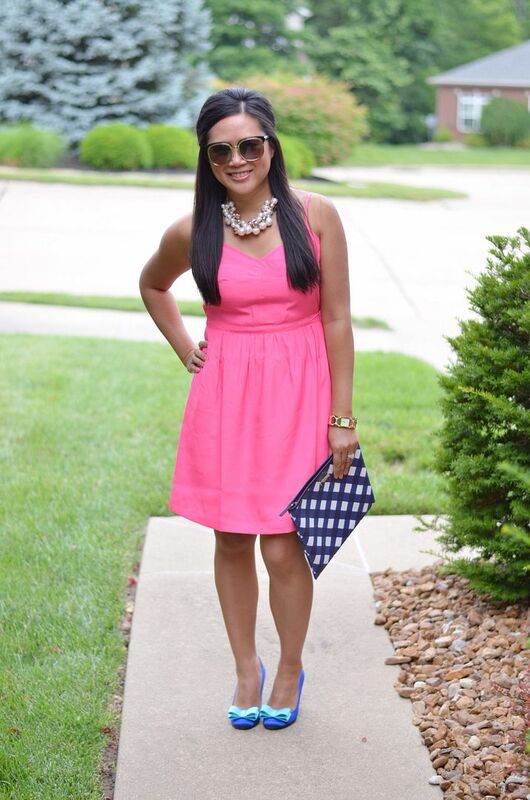 That pink is a great color for you, thanks for the linkup oppurtunity and you look fab! Thank you for commenting and joining! Love the pretty pink color on you. And those shoes are just adorable! Thanks for hosting and have a great week, Carylee! They make me happy - bows make everything better! You look AMAZING!!! Those shoes are fantastic! And I love the clutch! Seriously, I am obsessed. Thank you so much for this! I really loved this too- in the photos and wearing it in real life. It made me feel good! Thanks for the validation! Yes Carylee this dress was made for you!! Cute hairstyle btw! The first thing I noticed is that awesome gingham pouch which matches your gorgeous wedges. And I agree that pink dress and the sain pumps are lady-like perfection!!! Enjoy this new week, pretty Carylee!! Thanks as always for the nice note! I do read these as they come through! Love you bag and your watch! Very lady-like and elegant! Thanks for hosting the linkup! I am buying that dress. Hope you like it - its great! 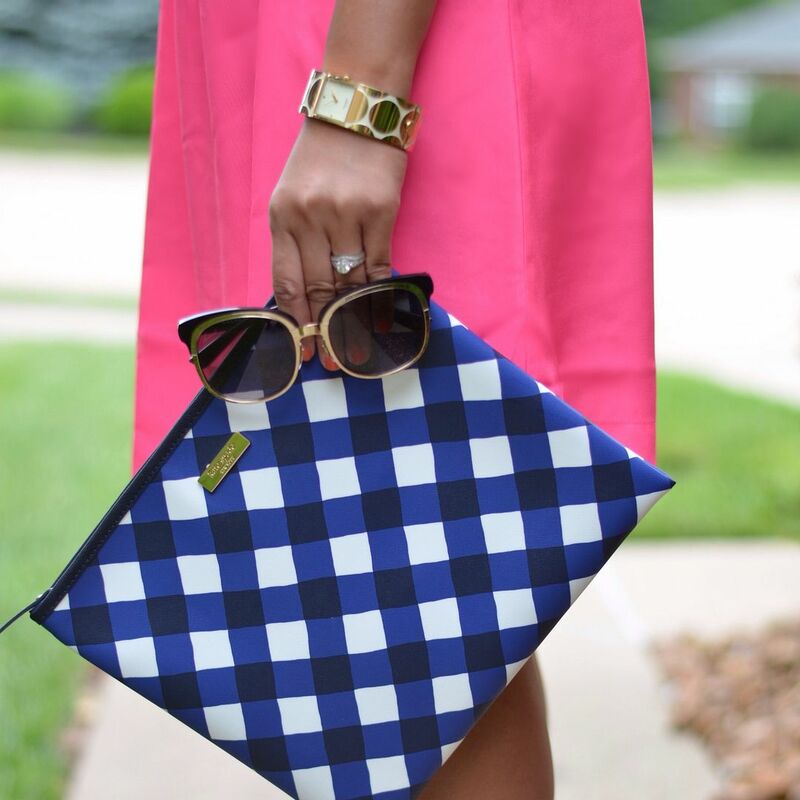 Obsessing over that gingham clutch! So cute doll! 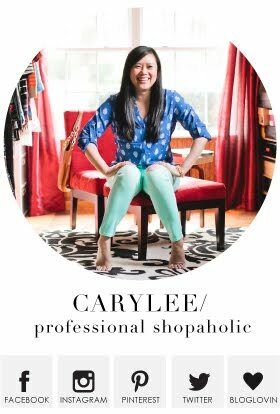 Thank you for hosting Carylee! Well, I'm definitely wanting all colors now!! Thank you!! I love this entire outfit and you look lovely!